Two Create is a London design studio started by two grads of Central Saint Martins Product Design School. There is some great concepts and furniture design here. 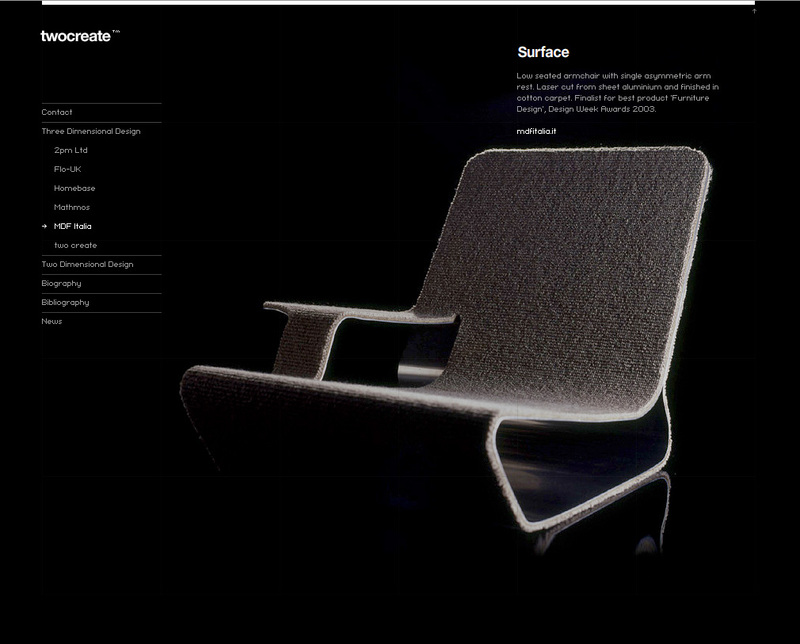 They have been featured in Surface magazine, Wallpaper, Grafik, Design Week Annual and many more. Very, very slick.